Breed is a brand you can trust. We are the leading online seller in the unlocked cell phone, cell phone accessory, and consumer electronics. Since 2006 we have shipped to thousands and thousands of satisfied customers. We specialize in both brand new and refurbished products. Our new products include top brands at affordable prices and our selective buying staff only stocks the highest quality refurbished products. Our top priority is to make every customer happy with each purchase. For customer service inquiries or to initiate a return, please contact Breed at customerservice@breedproducts.com or (866) 603-0638. 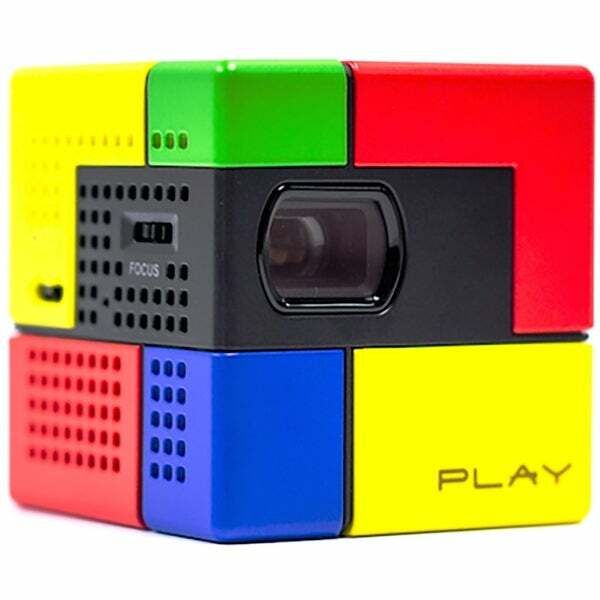 The Duo Play is the smallest (45 cm) of pico beam projectors and thus very portable and convenient to use. Providing a brightness of up to 35-40 ANSI Lumens (compared to other competing Pico Projectors providing approx. 15 ANSI Lumens) - you'll even experience 90 inches of screen size (Inch Max). Don't fret, the Duo play supports all MHL/HDML devices including smartphones, tablets, PCs and laptops - allowing to project whenever and wherever you want. And this generation of Duo Play significantly reduces the noise and heat compared to the other existing pico projectors. Dimensions 1.81 In. X 1.81 In. X 1.85 In.